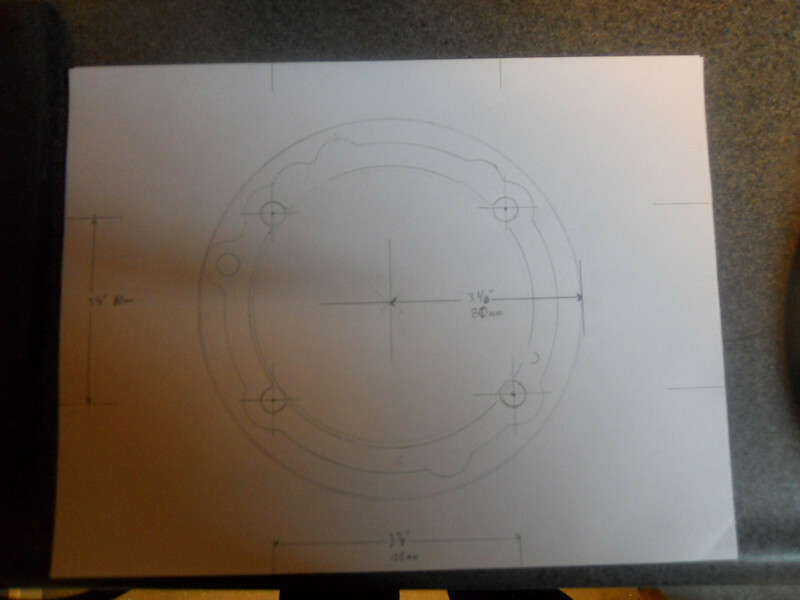 This is the layout of the bolt pattern after using a base gasket for a rough trace. The bolt pattern is 100mm x 80mm. This is for a 1098 cylinder which is being used on the 848 with a 104mm Pistal Piston from the Ducshop.